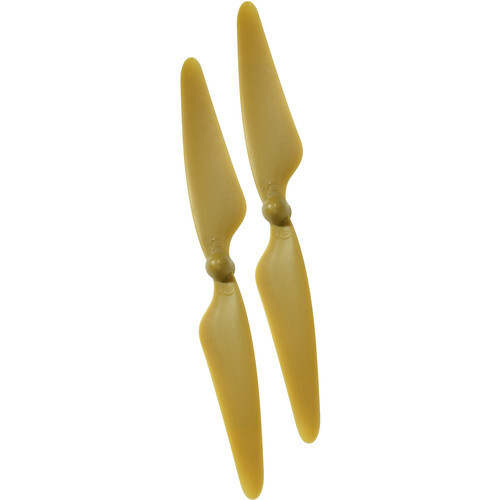 The Propeller Set for H501S X4 FPV Quadcopter from Hubsan features a pair of gold "B" propellers. There are two rotational directions, designated "A" and "B". Please consult your user guide to ensure correct placement. Box Dimensions (LxWxH) 11.0 x 4.0 x 0.7"
Propeller Set for H501S X4 FPV Quadcopter (Blade-B, Gold) is rated 5.0 out of 5 by 3. Rated 5 out of 5 by Louis from Props Work They fit and fly. Rated 5 out of 5 by Louis from Props Fit They fit and fly.